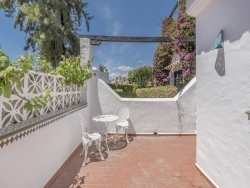 Charming two bedroom ground floor apartment situated next to the main swimming pool in Aldea Blanca. 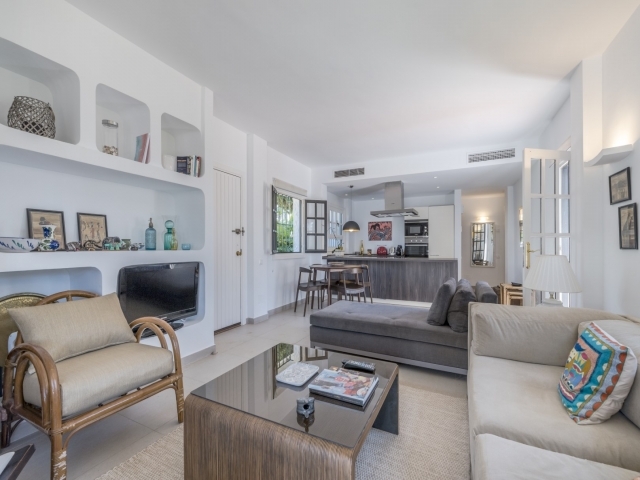 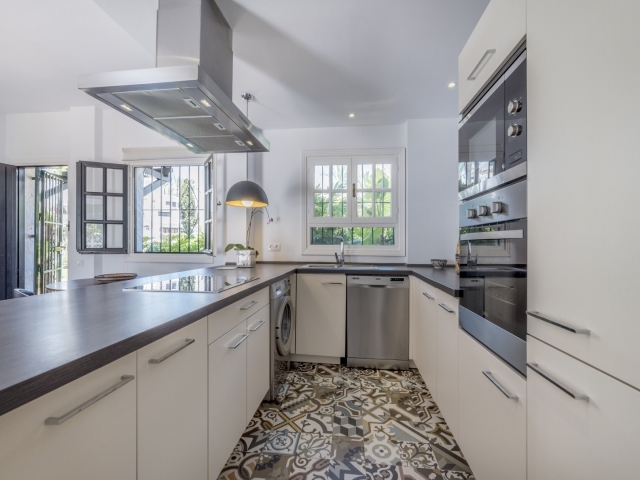 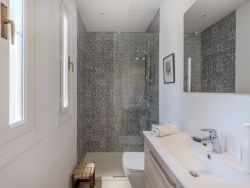 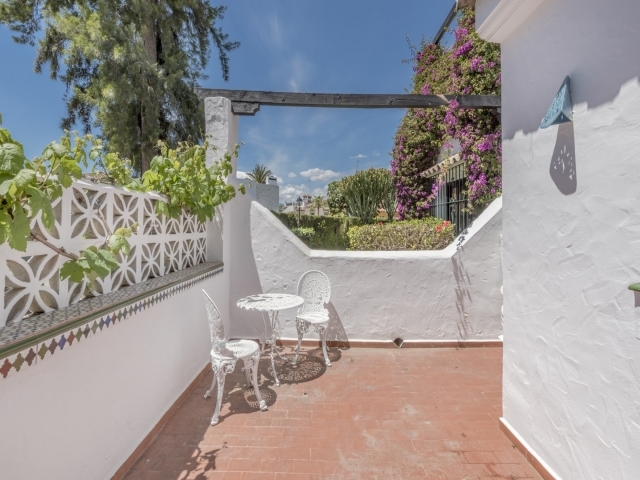 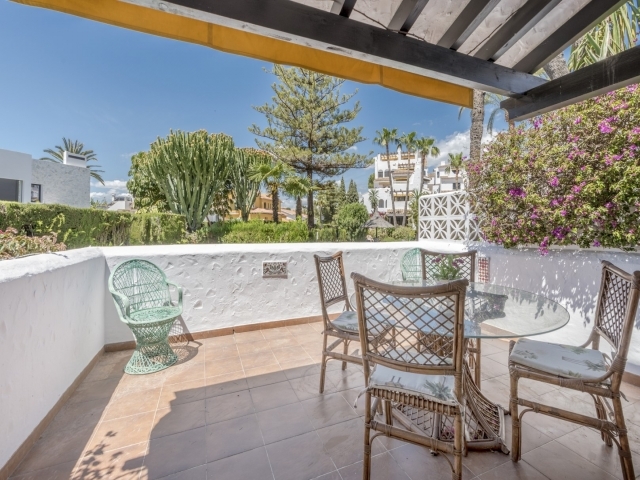 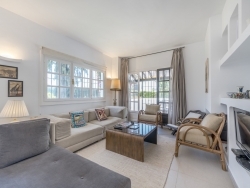 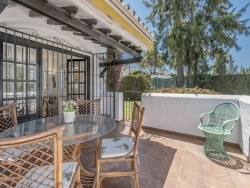 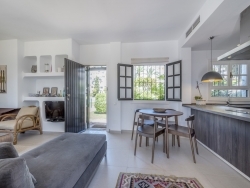 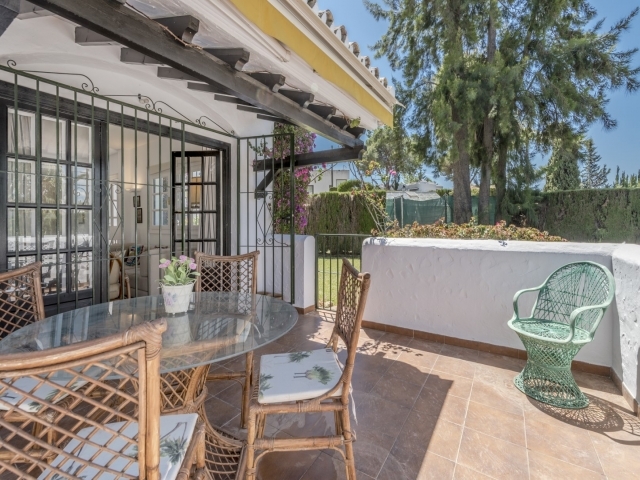 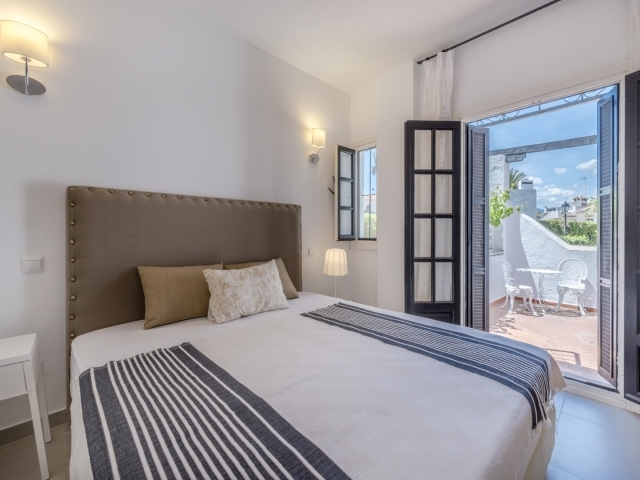 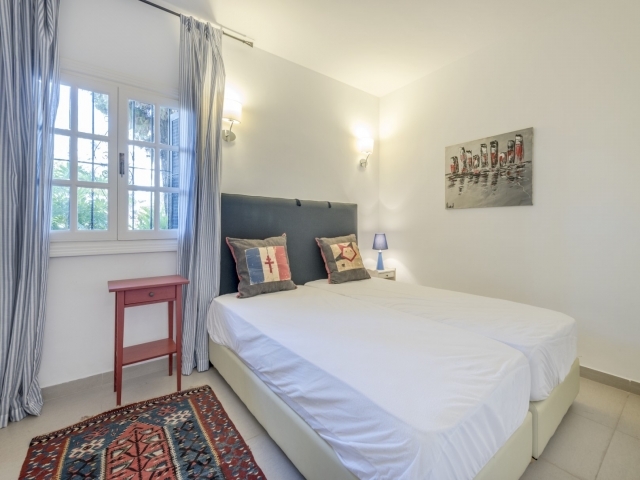 Ideally located within walking distance to all amenities in Centro Plaza and approximately a 20 minute walk to Puerto Banús and the surrounding beaches. 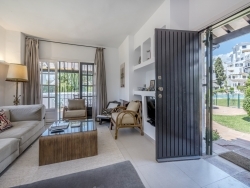 Entrance opens up to the living room, open plan kitchen with eating area, 2 terraces, one from the living room with outside eating and the other from the bedroom. 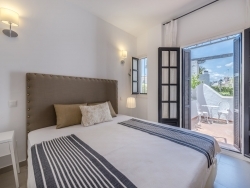 Master bedroom with double bed, guest bedroom with 2 single beds both have their own seperated bathroom with walk in showers.